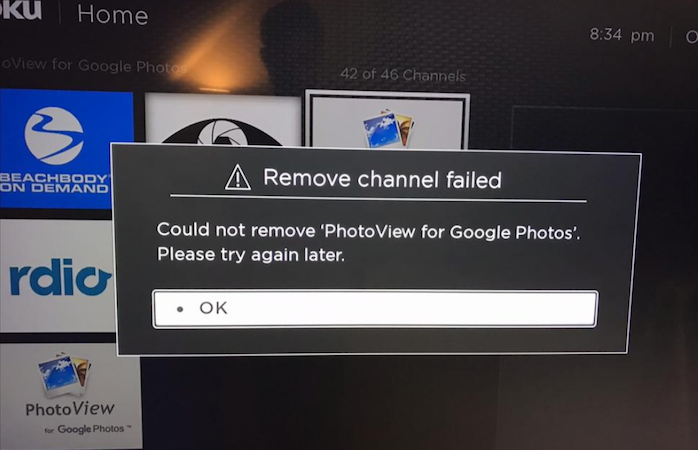 Figured this would be the best place to post this potential Roku OS 9 bug. The problem is users can't remove the private channel now that it's been approved/published. In the past, after publishing, the private channel would disappear. Now, we get an error, screenshot below. Anyone seen this before? Seems it may have just started with OS 9. It used to work in the past. We are getting reports of a similar thing since January 17. Customers cannot purchase a new subscription for a private channel nor remove the app for the private channel when the subscription does not process. Tech support refuses to help because they say they don't support anything related to non-certified channels.